Let’s Preview The Fleets of Sol – A Capital Good Time! Welcome, my friends, to The Fleets of Sol! 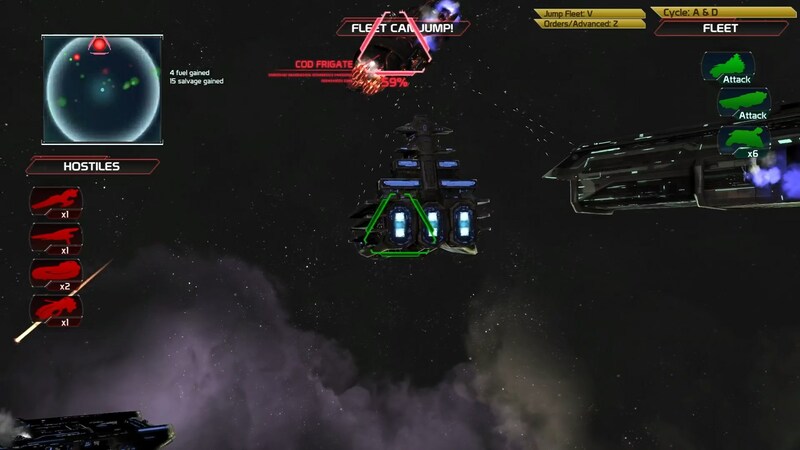 This game is a cap ship-focused offshoot to The Battle of Sol (which is itself an upgrade to SOL: Exodus) in which you take the capital ships from The Battle of Sol and command them, Battlestar Galactica-style, from jump point to jump point while you raid facilities for the resources you need to keep going while saving civilians from almost certain destruction. The game uses much of the same interface as Battle for Sol, which would help fans of that game adjust, but it also offers quite a bit of new stuff, like specific cap ship commands via a radial interface and specific commanders you can choose for your fleet that have bonuses and such. I’ve been toying with a VERY early copy of the game and have been having a ton of fun with it. I really can’t wait to see how the game evolves and matures on its way to release. Thanks for watching this video, and I’ll bring you more as the game progresses.